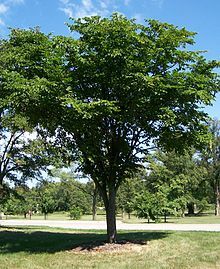 Ulmaceae is a family of flowering plants that includes the elms (genus Ulmus), and the zelkovas (genus Zelkova). Members of the family are widely distributed throughout the north temperate zone, and have a scattered distribution elsewhere except for Australasia. This page was last changed on 15 October 2014, at 10:35.